Product categories of PVC Ceiling Tiles, we are specialized manufacturers from China, Pvc 3D Ceiling Tiles, Pvc Wooden Ceiling Tiles suppliers/factory, wholesale high-quality products of Pvc Marbling Ceiling Tiles R & D and manufacturing, we have the perfect after-sales service and technical support. Look forward to your cooperation! PVC ceiling tiles is new materials for wall decoration. 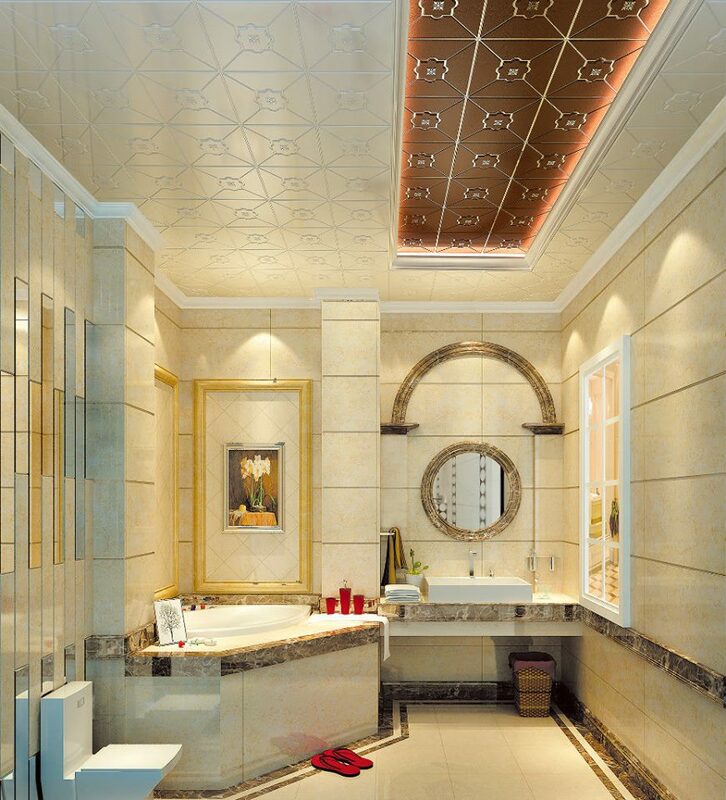 Our PVC Ceiling Tiles is widely used in interior decoration like hotel, restaurant, laboratory, bathroom, home etc. PVC Ceiling Tiles is non-flammable and conforms to the national grade B1 standard (GB8624-2012 Grade B1). PVC Ceiling Tiles is easy to cut, saw nail, stick. it has a smooth finish one side that can be taped and jointed ready for decoration including wallpapering, painting, texture coat and veneer, and a rougher side for tiling. PVC Ceiling Tiles does not contain any organic solvents, formaldehyde, asbestos, oils or other toxic substances that can have a negative impact on the environment and waterways.